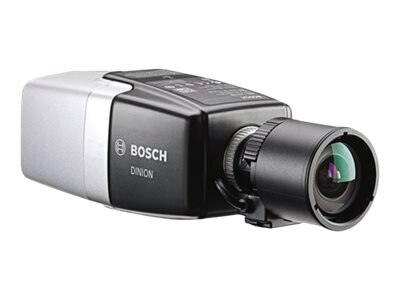 The DINION IP starlight 7000 HD camera provides clear images 24/7 - even at night or under low-light conditions. High sensitivity in color and monochrome mode enables this camera to work with a minimum of ambient light. This exceptional light sensitivity combined with Content-Based Imaging Technology ensures crisp, clear, detailed images in all lighting conditions. The camera can also provide up to 60 images per second. Compared to SD cameras, the DINION IP starlight 7000 HD offers, at no higher cost, motorized autofocus, higher resolution, better sensitivity, higher frame rates, and improved picture quality, and is still more bandwidth-efficient. Video storage costs are significantly reduced.